Never underestimate the power of music…or a great performance for that matter. Bohemian Rhapsody has both. The production is a biopic of the British rock band Queen focused mainly around the life of Freddie Mercury at the point they formed the group. The soundtrack features most of the band’s well-known hits. The inspiration for a few of the band’s signature songs is depicted. “Bohemian Rhapsody”, “We Will Rock You” and “Another One Bites the Dust” each receive little background stories. All of these vignettes are united by a truly mesmerizing performance. Mercury was born Farrokh Bulsara in Zanzibar (now Tanzania). His introduction to the band, their subsequent stardom, and fractures within the band are all portrayed. Malek is truly extraordinary as the Queen frontman. He may not actually sing but he lip syncs so convincingly through his physical performance that you believe he is. He channels the legend and I never doubted the manifestation for a second. Bohemian Rhapsody was a troubled production from the beginning. It was announced in 2010. Originally set to star Sacha Baron Cohen, the picture went through development hell. The comedian and remaining members of Queen couldn’t agree on what type of picture they wanted to make. Brian May (lead guitar, vocals) and Roger Taylor (drums, vocals), are listed as executive producers. This probably explains why their characters get plenty of lines and bass guitar player John Deacon (Joe Mazzello) is basically an afterthought. Various directors were attached including Stephen Frears. Cohen exited and Rami Malek was ultimately cast. Tensions between the new star and director Bryan Singer led to Singer’s replacement near the end of principal photography with director Dexter Fletcher. Singer is still credited as sole director but Fletcher received an executive producer credit. Bohemian Rhapsody was a huge hit with audiences opening to a rather robust $50M on its opening weekend. Its success makes the negative press the film received, even sweeter. Like most biopics, Bohemian Rhapsody takes liberties with people, dates, and events for dramatic effect. From my perspective, the screenplay by Anthony McCarten and Peter Morgan doesn’t subvert the salient details to an extent that negates the experience. Early reports that this would be a sugarcoated biopic were exaggerated. The fact that Freddie Mercury was suffering from AIDS is revealed as is his relationship with manager Paul Prenter (Allen Leech). I suppose every movie needs a villain and Prenter definitely fulfills that role here. The presentation feels a bit glib. He must have been a supportive guy for a while because he was close to the band for nearly a decade. Freddie rebuffs his advances in an early encounter but they seem to have this on and off again affair. The point at which their relationship went from professional to personal is ambiguous. In real life Prenter died from AIDS complications in 1991, the very same year Freddie Mercury passed, so Prenter can’t refute this portrayal. Brian May (Gwilym Lee) and Roger Taylor (Ben Hardy) were not fond of the guy. Reportedly they weren’t pleased with his influence on Freddie and the changing musical direction of Queen. His villainy culminates with a tell-all TV interview. There are moments in this saga that feel unfinished or unclear. When Freddie comes out to his girlfriend Mary Austin (Lucy Boynton) as “bisexual”, she responds matter-of-factly with “I thought you were gay.” Then they move on to the next scene. That’s it? I wanted more detail. When did she come to this conclusion? Did she know that before they moved in together? If so, then why did she promise to wear his ring forever? They break up soon after this revelation, but they still remain friends. Growing frictions between Freddie and the band are not delineated with any real depth either. He throws a lavish celebration that has a carnival-like atmosphere. It’s extravagant but there’s nothing offensive about it. Yet the band members sitting around looking like a bunch of sticks in the mud. Apparently they were family men who didn’t like to party or flirt or do any of the typical things other rock stars did. Incidentally, it’s at this event that Freddie meets Jim Hutton (Aaron McCusker), one of the servers at the party. Jim would become his companion from 1985 until the end of his life. Those seeking an outrageous tell-all R-rated depiction of Freddie Mercury’s rumored wild escapades are going to be disappointed. Instead, Bohemian Rhapsody is a more uplifting PG-13 rated biopic of the singer’s life. In that respect, it compares favorably to other music biopics like The Buddy Holly Story, La Bamba (Richie Valens), and What’s Love Got to Do With It (Tina Turner). It’s all about the music. “We will Rock You”, “We are the Champions”, “Somebody to Love” and of course the title track all make an appearance. Perhaps most surprising is the emotional weight of the song “Radio Ga-Ga”. I’ve always considered the song a throwaway ditty but sung here during the climax at Live Aid it is an audience-pleasing, sentimental high point. Live Aid was a concert held simultaneously at Wembley Stadium in London and John F. Kennedy Stadium in Philadelphia on July 13, 1985. I wasn’t physically there but like 1.9 billion other people across 150 nations, I watched the live broadcast on TV. This captures music’s ability to unite the world. That’s the joyous feeling you get as you leave the theater. Bohemian Rhapsody may wobble in parts, but it finishes strong and with touching resonance. Watch this film with your heart. It’s been 42 years since the last adaptation of A Star is Born. I suppose we were about due. The original script by William A. Wellman, Robert Carson, Dorothy Parker, and Alan Campbell has proven to have a quality that transcends time as the narrative evolves to suit the tastes of the current generation. The core remains the same. It’s rags-to-riches! It’s got romance! It’s got tragedy! Yes, it’s full of showbiz clichés. That’s because good stories never go out of style, especially one with a charismatic female lead as its central focus. The 30s had Janet Gaynor as an aspiring actress who surpassed a fading movie actor depicted by Fredric March. The 50s transomed the property into a musical as Judy Garland was the ingenue taken under the wing of a former matinée idol played by James Mason. The 70s version had Barbra Streisand as a nightclub singer plucked out of obscurity by a rock star played Kris Kristofferson. Bradley Cooper’s adaptation adheres most closely to this one. The actor directs, writes, produces and acts. Anyone tabulating the years will notice the 90s should have gotten their own rendition. Flash forward to the present and we have Lady Gaga as Ally, a woman who waits tables by day and croons “La Vie en Rose” by night in a drag bar. Bradley Cooper portrays the established artist, Jackson Maine, a country music superstar that performs to sold-out arenas. Jackson stumbles upon Ally’s show while searching for a bar to drink booze. Lady Gaga can act. She happens to already have a Golden Globe for TV’s American Horror Story, so perhaps not a shock. Some might contend that she’s essentially playing what she knows – a singer. However, Ally the unknown cabaret performer unsure of herself is decidedly different than Lady Gaga the confident multi-platinum selling celebrity. The pop star-turned-actress naturally captures that mix of fear and elation a novice has in front of a crowd. There’s a moment where she crystallizes this feeling so perfectly, that I was overcome by the experience It occurs early on about a third of the way in when Jackson Maine is giving a huge arena concert for his fans. He flies Ally out to the gig. She is brought backstage ostensibly to watch the show. He finishes his tune, then addresses the audience. He strides over side stage up to Ally and asks her to duet her own song with him. The look of shock on her face is so genuine, we feel her terror as well. She declines. “I’m going to sing your song with or without you,” he asserts and then proceeds to do just that. As he begins, she’s left standing there obviously conflicted, an anxiety of emotions bubbling up until she’s inspired to take the stage. It’s a masterful scene. I got goosebumps. Lady Gaga’s outstanding achievement is somewhat expected. Bradley Cooper is even more surprising. As the fading arena rock musician, he affects this comfortably lived in existence. His voice, a deep, gravelly mummer exists all in the lower register. He instantly recalls grizzled actors like Kris Kristofferson (star of the 1976 version) and Sam Elliott, who actually plays his older brother Bobby in this. Perhaps it’s a bit of an in-joke when Bobby, who is also his manager, criticizes Jackson the artist for stealing his “voice”. Cooper’s world-weary exterior is a physical transformation as well. His complexion is weathered with a ruddy texture. His skin blighted both by the sun and years of drugs and drinking. Bradley Cooper isn’t afraid to look messy. A Star is Born delights with the highs and lows of a melodrama that is a nothing less than solid entertainment. The tale of these two people is a bewitching saga that allows the two actors to exhibit considerable chemistry as their connection develops over their love of music. Their relationship is collaborative and fosters a more supportive connection than in previous iterations. The first half is endlessly compelling. The second is a bit less so. Yet there are subtleties to the drama that make this interpretation of the classic chestnut something to discuss. The narrative arc succumbs to the standard story beats that would be clichés to anyone who has ever caught an episode of Behind the Music on VH1. As Ally’s popularity rises, Jackson’s declines. The reason for the awkward growing tension between the two is a fascinating mix of factors. Certainly drugs and alcohol derail Jackson’s career but his growing dissatisfaction is more complex. Success changes Ally’s musical style. Her appearance on Saturday Night Live performing “Why Did You Do That?” is presented as a pop-oriented betrayal of her authentic self, complete with outré makeup and hair. I found the critique ironic since Lady Gaga the artist has never been one to tone it down. Jackson’s growing frustration with her success is certainly a reaction to this persona but there’s some jealousy in there too. Jackson is torn because he’s losing the woman he knew to her growing fame, but he also doesn’t want to stand in the way of her success. A slick manager Rez (Rafi Gavron) hammers this point even further. There’s a lot to consider and the screenplay does a nice job at handling the many facets of a challenging relationship. This is quite simply a love story. It turns out the utter simplicity of A Star is Born is perhaps its greatest strength. Lady Gaga and Bradley Cooper have a chemistry together that is so palpable it carries the film. Throughout it all, Lady Gaga sings. Even Bradley Cooper manages to effectively deliver a few tunes (the Jason Isbell penned “Maybe It’s Time” is quite good). Lady Gaga further solidifies her talent as an electrifying performer. She has a voice. The soundtrack is full of memorable songs that highlight a captivating tale. “Shallow” is the first single. It’s wonderful, but there’s a handful of numbers that really catch the ear. “Always Remember Us This Way”, “Is That Alright”, and the finale “I’ll Never Love Again” really stand out amongst a solid collection. In the movie’s weaker 2nd half, the music is what keeps us enrapt. Still, following the ups and downs of the melodrama is solidly entertaining. Melodrama isn’t a bad word. It simply appeals to the emotions while relying on tried and true plot developments. A Star is Born does it well. The production manages to capture our heart while dazzling the ear. I really enjoy movies about music. Specifically, stories that detail the creative process involved in the composition of great songs. I adored last year’s Patti Cake$. The indie drama was merely the most recent example in a long illustrious tradition. I’m talking about pictures like The Commitments (1991), That Thing You Do! (1996), 8 Mile (2002), School of Rock (2003), Music and Lyrics (2007), and Crazy Heart (2009). Special commendation goes to director John Carney. He’s a master. 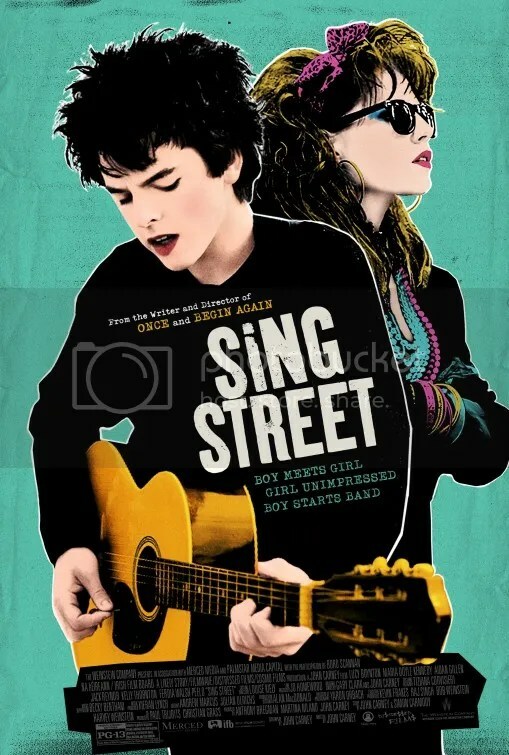 Once (2006), Begin Again (2013) and Sing Street (2016) were all shining examples of the genre. Each one ranked among my favorites in their respective year. I could go on and on. I was primed to love Hearts Beat Loud. While it may not rank up there with the very best, it’s certainly a delightful little film. Frank is the owner of Red Hook Records in Brooklyn, New York. The store is on the verge of closing up shop for good. He’s a widower whose daughter Sam (Kiersey Clemons) is getting ready to attend school as a pre-med student at UCLA. They’re both musicians. He’s a guitarist. She’s a keyboardist with a mellifluous voice. Mom was a singer too actually. Frank was in a band with his wife but she died in a bike accident when Sam was much younger. Sam actually appears to be the more responsible of the two. She is focused on her studies while her father wants to have fun creating tunes. That he is going to miss his daughter when she goes away to school is emphasized to the nth degree. “We’re not a band!” she exclaims. Frank winkingly uses that declaration as their band’s moniker. Unbeknownst to her, he uploads their musical collaboration to Spotify, the music streaming service. The humor remains light and modest. There’s a really poignant quality in their bond that never resorts to schmaltz. At times the script emphasizes a mildly acerbic quality to their exchanges. In fact, Frank comes across as pretty stoic. Maybe it’s because his facial expressions are hidden behind that massive salt and pepper beard of his. There are also some really nice tunes that are beautifully highlighted throughout. It culminates with an impromptu concert at Frank’s record boutique. Hearts Beat Loud is appropriately named. This is about love whether it be among family, friends or that special someone. There’s a little bit of all three. The drama is dressed up with interesting personalities. Director Brett Haley’s recent prolific output has made him a darling of the Sundance Film Festival. The director has premiered three features there in the past four years. Haley reunites with Nick Offerman and Blythe Danner who have each acted separately in different movies of his. I’ll See You in My Dreams (2015) featured Blythe Danner as the star. She makes a quirky appearance as Sam’s grandmother here. Offerman played a supporting role in Haley’s The Hero (2017). Other key portrayals include Toni Collette as the really cool landlord of Frank’s music store. It’s always a pleasure to see the actress but I wish she had been given more to do here. 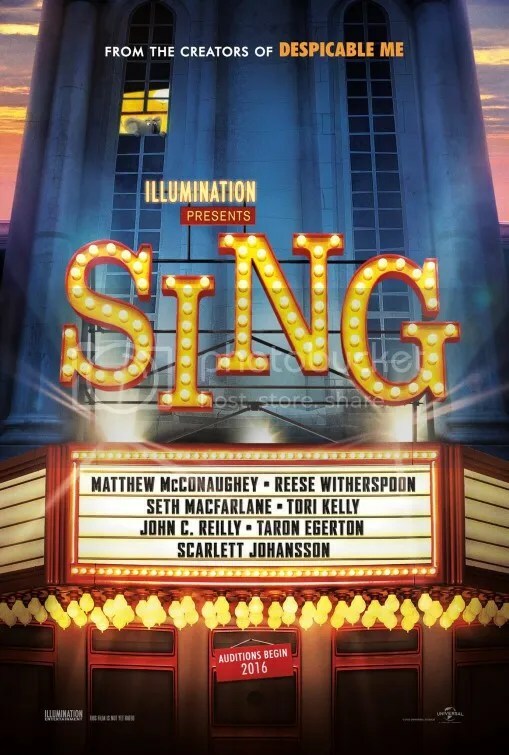 Actress Sasha Lane (American Honey) is Rose, Sam’s love interest and Ted Danson appears as — what else? — a bartender. Hearts Beat Loud is a heartwarming story about a family’s ties to music. What really elevates the dialogue is the chemistry between Nick Offerman as the father and Kiersey Clemmons as his daughter. Frank and Sam write songs together and that development is a delight to watch. As the artistic process comes together we hear the end product. There’s a nice collection of little ditties by composer Keegan DeWitt that captivate the ear. The fast version of the title track is probably my favorite. There’s also a ballad version. “Everything Must Go” and “Blink (One Million Miles)” are memorable as well. While agreeable, this crowd-pleasing account is not going to have any lasting impact on your life. The screenplay by Brett Haley and Marc Basch almost redefines how slight a drama can actually be. All excitement is essentially derived from the sincerity of the performances. Frank seems genuinely impressed by his daughter’s talents. He positively beams with pride. I got a little emotionally choked up with their relationship. Any film that can do that in an efficient 97 minutes gets a stamp of approval from me. Ok, can we get one thing out of the way first? Baby Driver is a terrible title. It sounds like either (1) a frivolous comedy about a chauffeur who works for a rich baby or (2) about an infant who can literally drive. Perhaps the follow-up sequel to DreamWorks’ animated hit The Boss Baby. None of this is correct. Baby, as it turns out, is the nickname of Ansel Elgort’s character, but he isn’t a baby. He’s a young man. He is a motorist though, a getaway driver actually. That much is true. Baby suffers from hearing loss. He incurred this ailment as a child when he was in a car accident which killed both his parents. To cope with the constant humming in his ears, he listens to music…all the time…on his iPod. That’s the set-up but it’s really just a great excuse to play a lot of classic songs. Baby is a man of few words. He’s cool, laid back – a soft faced James Dean for our era. He’s a bit of a mystery, but we know he’s good at what he does. We’ve seen him in action. In the opening scene, he skillfully maneuverers the car that bank robbers Buddy (Jon Hamm), Darling (Eiza Gonzalez), and Griff (Jon Bernthal) jump into after their heist. Jon Spencer Blues Explosion’s 1995 single “Bellbottoms” blasts away in his headphones. Baby is employed as a getaway driver for Doc (Kevin Spacey), an intimidating crime boss that plans heists. Not entirely by choice. Baby is indebted to Doc for having stolen one of his cars. He’s currently working off the debt he incurred. Baby rarely speaks, often retreating into the world of the tunes playing on his iPod. You see, his music is our music. That is, what he hears and the score of the film, is exactly the same thing. The movie is a cinematic construct, a heart-stirring, toe-tapping production in which diegetic music is synchronized to the action on the screen. Think of it as a jukebox musical in which director Edgar Wright has decided to assemble a playlist of 30+ songs that just so happen to have a story attached. Selections run the gamut from various eras but they mostly favor oldies before the 1980s. The Beach Boys, Carla Thomas, Queen, Barry White, The Commodores, Simon & Garfunkel, who provide the movie’s title, all have their moment. However, a few comparatively later compositions from the likes of Young MC, Beck, and Blur pop up too. “The Harlem Shuffle” is a particularly breathtaking set piece. We’re talking the 1963 original by Bob & Earl, not the Stones version. Sorry, it’s my age, but I can’t detect those opening horn blasts without thinking I’m about to hear “Jump Around” by House of Pain. The minor R&B hit underscores the second scene after the first heist, where Baby walks through the town while the city life happens in sync with the music. It’s a beautifully realized vignette that has to be seen multiple times to appreciate the complexity of its many details. Check out the graffiti on the walls that match the lyrics of the number. The plot is kind of incidental but it provides the framework for a charismatic ensemble that meshes together like a finely tuned automotive machine. Baby’s foster father is a deaf man in a wheelchair named Joseph (CJ Jones) whom he cares for. They communicate via sign language. Baby goes to Bo’s Diner where he meets a pretty young waitress named Debora (Lily James), spelled exactly like a ditty by English glam rock band T. Rex. Then there’s the aforementioned Doc (Kevin Spacey), the crime boss for whom Baby works. Doc is capable of murder, but he’s frighteningly calm. You know that beneath his placid exterior there lies an evil temperament. “Your waitress girlfriend is cute,” he says to Baby. “Let’s keep it that way.” Doc assembles a rotating crew for each job. Buddy (Jon Hamm), Darling (Eiza Gonzalez), and Griff (Jon Bernthal) comprise the first team. Eddie No-Nose (Flea), JD (Lanny Joon), and Bats (Jamie Foxx) form another. Somewhere along the line, Paul Williams pops up as an arms dealer known as The Butcher. Unifying all the disparate parts is Baby, a criminal with a heart. Baby Driver is a whole lot of action, a little comedy and a touch of romance. It’s a classic heist flick that conveniently builds to “one last job”. The screenplay weaves a simple story amidst a profusion of pop culture tunes. This amalgamation of constant music. quick cut editing and swooping cinematography is extremely showy. At times, it’s oppressively so. I was keenly aware of the director’s hand more than once. The unrelenting style subverts genuine emotion for an illustration of love. Ansel Elgort and Lily James are more like the symbol of an on-screen couple than the genuine article. But we’ve got elaborate chase sequences choreographed to music. If action bang for your movie buck is what you want, then you’ll get your money’s worth. I simply can’t overstate how exhilarating this whole exercise is. The flashy production is presented with technique and panache. It’s like a shiny new sports car — albeit one built with some previously available parts. The director himself has cited The Driver, Reservoir Dogs, Point Break, Heat and The Blues Brothers as influences. While it may have been assembled from the building blocks of previous films, there’s certainly no denying the craft that went into making it. In a summer of sequels and franchise installments, Edgar Wright’s vision is a distinctly welcome breath of fresh air. I want to live in Los Angeles. Not the real LA mind you, but the glittering jewel of a city in Damien Chazelle’s La La Land. The city often gets a bad rap. There are the oft-mentioned reasons: smog, extreme traffic, insufficient public transportation, crime, gangs, the pseudo-spiritualism, the unchecked vanity, the obsession with celebrities. It kind of seems like everyone is trying to make it into show business there. Easier said than done. It wasn’t nicknamed the city of broken dreams for nothing. And yet millions choose to call LA home. La La Land makes me understand why. The city isn’t famous for its culture. Yet Chazelle sees the beauty within. La La Land is a practically a tourism ad making use of many real Los Angeles landmarks. It’s only a matter of time before the Hollywood location tour pops up. There‘s Griffith Park, the Observatory there, Angels Flight Funicular, Colorado Street Bridge, the Rialto theater, Hermosa Beach Pier. The “You Are the Star” Mural at Hollywood & Wilcox provides a backdrop. Each location becomes an enchanting setting. Anyone who has ever found themselves in LA’s nightmarish bumper to bumper gridlock would beg to differ. However, even a traffic jam seems like a wondrous delight. In the film’s opening scene, Chazelle makes congestion on the 110-105 interchange exactly that. Again I emphasize that this is not a set and the experience is all the more galvanizing because of it. As the characters slowly emerge from the protective confines of their metals cells, they begin to sing “Another Day of Sun”. Gradually getting on top of their cars in a rapturous display of dancing by choreographer Mandy Moore (not the pop singer turned actress). It’s a fantastic way to start off the picture. It’s so captivating, I was overcome with emotion. The way it harnesses joy out of the everyday is magical. First and foremost, La la Land is a love story. Mia (Emma Stone) and Sebastian (Ryan Gosling) pursue each other. They’ve got palpable chemistry. This is actually the third time the two have been on screen together Crazy, Stupid, Love and Gangster Squad were the others. Emma Stone is such a pleasure. As the jittery aspiring actress waiting for her big break, she is an anxious bundle of charm. Ryan Gosling plays a confident but frustrated jazz pianist. He dreams of opening his own club but earns a living by playing Xmas songs in a cocktail bar. Deep down he prefers the traditions of the past while being forced to adopt the affectations of the modern era. John Legend is his friend Keith that looks to the future. “Jazz is constantly evolving,” Keith argues. Neither side is wrong according to the film. It’s not being true to yourself that’s the problem. Mia supports this idea. Sebastian accepts a well-paying job playing backup electronic keyboards for Keith’s commercially successful band. “Did you like it?” Sebastian asks of Mia after a very well-attended concert of jazz-pop fusion. “Yes, but did you?” she responds. They’re a pair out of some long lost Hollywood musical of the 1950s. In a previous generation, Ryan would be played by Fred Astaire or Gene Kelly. Gosling is certainly not a proficient singer/dancer like Kelly. Emma Stone can’t vocalize like Judy Garland either. Stone has what you might call a delicate whisper of a voice. Damien Chazelle is aware they aren’t up to that standard, but that’s OK. In some ways, their inadequacies are part of their appeal. There is a lack of pretense and polish to their numbers that actually makes this more accessible and less artificial. When they burst into song, the expression appears almost naturally – an outpouring of their passion already existing on the screen. What they miss in singing ability, they more than overcompensate for with feeling. Those overly produced pitch-perfect confections on the TV show Glee may be flawless from a sonic standpoint, but they often forget the human element that gives the composition feeling and soul. When these individuals croon they reach for your heart first. Your brain might tell you they aren’t accomplished vocalists, but your heart tells you they’re in love. That is what ultimately matters in a story about human emotion. We already knew director Damien Chazelle was talented. His last feature Whiplash garnered 5 Oscar nominations and 3 wins, including one for its star J. K. Simmons. He briefly appears in a cameo here. However following up success can often be an intimidating task for a newcomer. Damien Chazelle tackled a daunting project. Musicals aren’t common these days. Oh sure there’s Disney’s animated flicks and the occasional Broadway adaptation, but most younger moviegoers are unfamiliar with the idea. When actors break into song it can feel corny. An indifferent viewer rejects the idea with disbelief. How do you stage a production grounded in the past but present it to today’s jaded audiences? What Damien Chazelle pulls off in La La Land is nothing less than miraculous. In La La Land the “City of Angels” is reimagined through the glorious sheen of the late 40s/early 50s Hollywood musical. For examples, watch An American in Paris, Singin’ in the Rain, or The Band Wagon to see what I mean. What makes Chazelle’s 3rd feature so incredible is how brilliantly he understand how to reference history. He skillfully recontextualizes the vernacular of the American musical for the modern age. 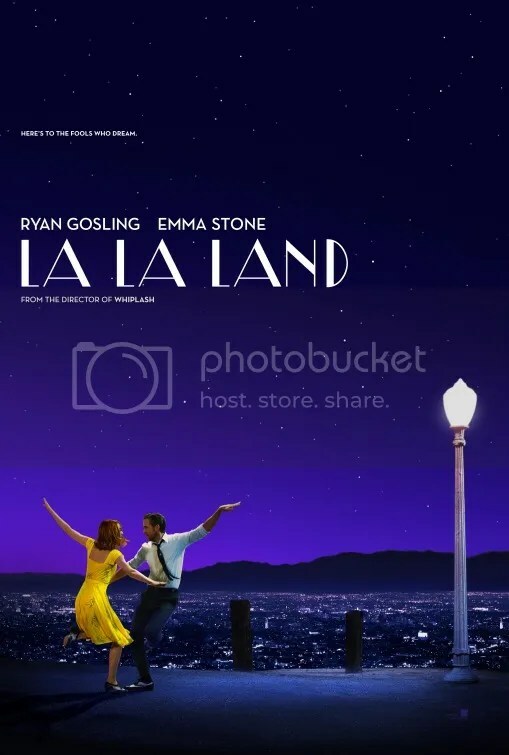 The exquisite score by Justin Hurwitz, elaborate production design by David Wasco, those costumes by Mary Zophres, the Technicolor, the romance – La La Land‘s aesthetic borrows from history but the time period and the characters are rooted firmly in contemporary society. 2016 is all here: cell phones, Hybrid vehicles, the part-time job as a barista. Chazelle makes our present era seem so much more magical. There is an exuberant quality I haven’t seen recently. Mia and Sebastian radiate sweetness too. This uncorrupted pair shares a purity. You want them to be together. Their emotion is real. You fall in love. This why we go to the cinema. If I may paraphrase a famous expression once said by Humphrey Bogart, La La Land is the stuff that [movies] are made of. It is sublime.